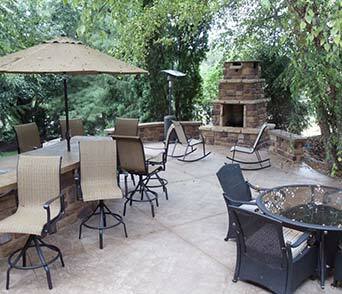 space in the St. Louis area, St. Charles area and Columbia, Missouri area. 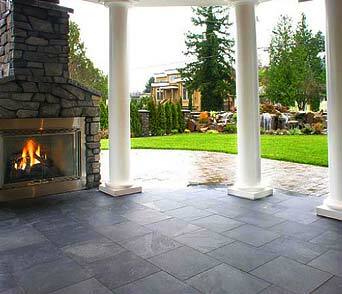 Roman Creations is a detail oriented company that customizes your vision, setting and budget. Please take a moment to visit our galleries. Every picture is a Roman Creation in or around the St. Louis and St. Charles area. 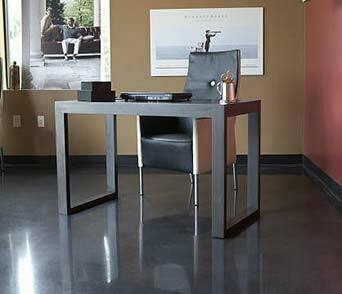 We are a modern company that provides the latest trends. 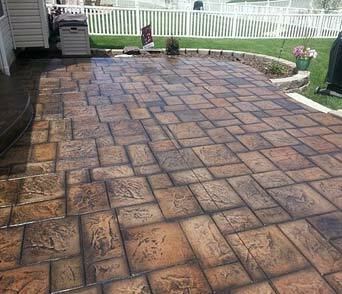 We specialize in several areas but are not limited to the following: Decorative, stamped, colored, concrete, driveways, patios, sidewalks, porches, steps, flooring, etc. 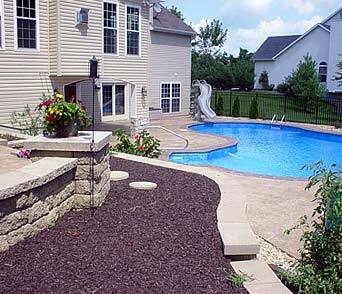 using both concrete and stone as well as installing manufactured paver systems. 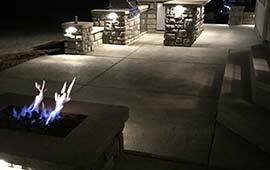 We create amazing outdoor living spaces including outdoor kitchens, grilling stations, bars, countertops, setting walls, fireplaces and fire-pits using: stamped, colored, stained concrete, natural stone and man-made stone veneer. 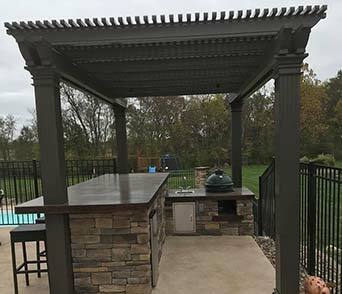 In addition to our beautiful concrete outdoor living spaces we install pergolas and covered patios while integrating lighting to make your outdoor living space both functional during the day or evening hours.